This adjustable drawstring backpack was designed with firefighter lovers and travelers in mind. Made for any hero's walk, whether it’s hiking or going to school. Quality construction to make sure it will not rip while walking and is definitely made to last. An official looking logo and cool colors enhance the front of the bag. Ages 3+. Aeromax quality products make great gifts for girls, boys, and adults. 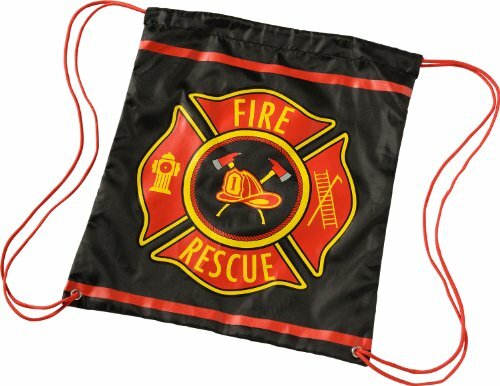 LIGHWEIGHT DURABLE DESIGN to hold your firefighter accessories, candy, beach towel, toys, take it hiking, or carry many other items. The possibilities are endless! If you have any questions about this product by Aeromax, contact us by completing and submitting the form below. If you are looking for a specif part number, please include it with your message.